Nearly 90,000 people have downloaded the app. 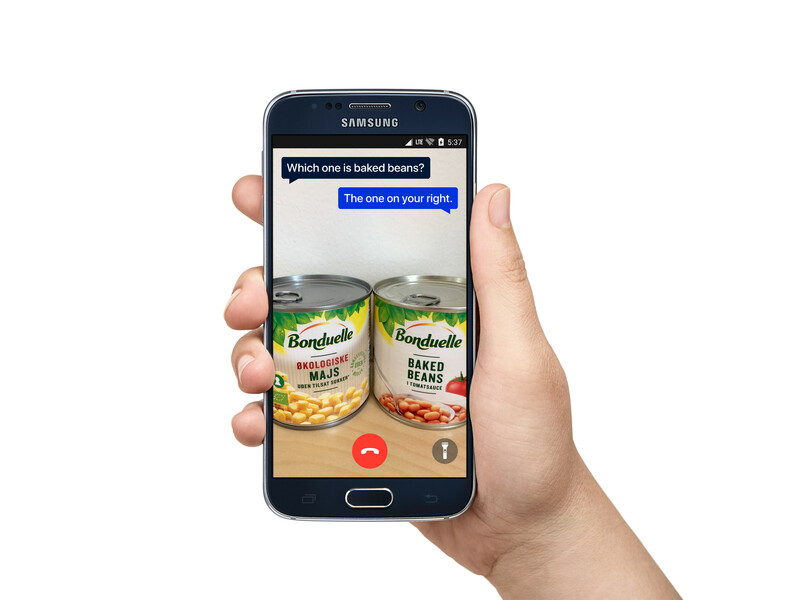 A phone app that enables blind people to video call sighted volunteers to help them won a technology award on Tuesday, amid growing interest in businesses that support vulnerable groups. Be My Eyes - a Danish company that allows some 87,000 people who have downloaded the free app to request assistance in situations where vision is needed from 1.5 million volunteers - won the accessibility prize at the Tech4Good awards. "A lot of judges are biased towards social enterprise because of the sustainability component," awards organiser Mark Walker said, referring to firms that seek to achieve social change while also making a profit. "Charities are always dependent on the next grant" added Walker of AbilityNet, which works to make the digital world more accessible to people with disabilities to improve their lives. Judges in the eight-year-old Tech4Good awards included telecoms giant BT, Lloyds Banking Group and the technology company Microsoft Corp.
Britain is seen as a global leader in the innovative social enterprise sector, with about 70,000 businesses employing nearly 1 million people last year, according to membership body Social Enterprise UK, up from 55,000 businesses in 2007. Be My Eyes founder Hans Jorgen Wiberg, who is visually impaired, started the business in 2015 after a blind friend told him that he video called family and friends to help him with everyday tasks, such as reading labels while cooking. "This is just like a Swiss army knife that can help you read papers or help you catch the right bus," said Alexander Jensen, community director for Be My Eyes, which is now available in 150 countries and 180 languages. Some 253 million people live with vision impairment globally, including 36 million who are blind, according to the World Health Organization, which says these numbers could triple as populations grow and age. Jensen told the Thomson Reuters Foundation that the company initially struggled to work out where it was going to find revenue as they wanted everyone, irrespective of ability to pay, to be able to use the app. The solution was to charge companies - such as Microsoft, which was their first paying customer - to make their support services directly available through the app, to help users set up products or check internet connections. "The companies learn how to make their products more accessible and can provide a kind of customer support that they were not able to do before, and with that, appeal to a much larger audience," said Jensen.